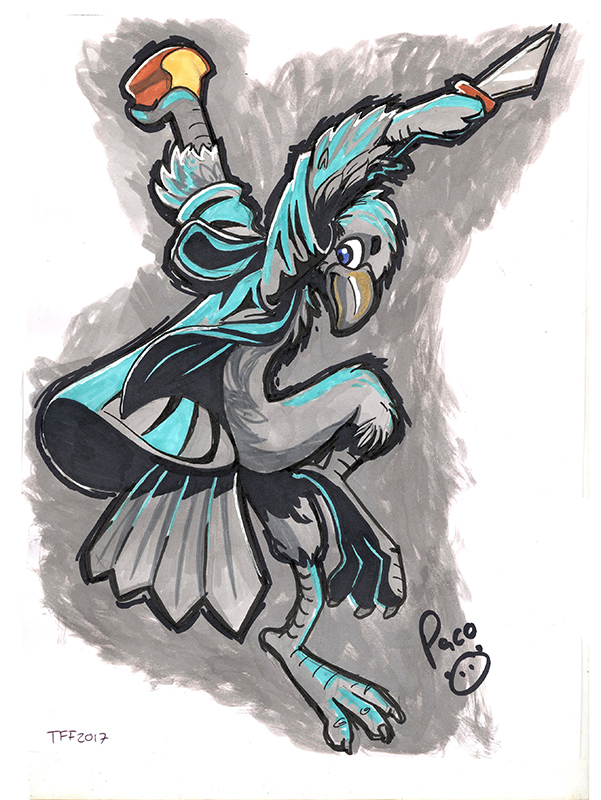 This was for theconfuzzledcyclone, his crow character Cyrus the crow. I don't know why on his ref sheet it his accesories there was a bread, so I decided to included it!! It was done with markers, indian ink and pencil.